Three hours of train­ing, much cof­fee and Chick-Fil-a con­sumed. always trust a guy that brings his kids to work. always good to end with a cute pro-men­tor­ing song! The ReCity orga­ni­za­tion won’t be recre­at­ing things that oth­er orga­ni­za­tions in the Tri­an­gle are already doing well… they will just come along­side and help— train­ing men­tors to be involved and shin­ing light on what’s being done to help with dis­con­nect­ed youth in our city. 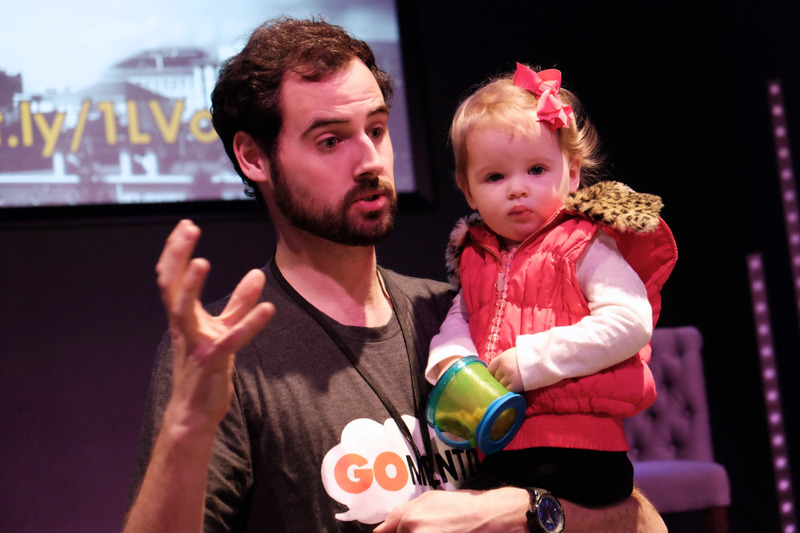 The pro­gram grows out of a 4 year suc­cess­ful project at the Sum­mit Church called GoMen­tor. The new spin­off ReCity was formed after hear­ing a call from our city of the need for more career focused ideas, giv­ing stu­dents a view of what’s pos­si­ble in their lives and a path to get there. Twen­ty-two great orga­ni­za­tions like the YMCA of the Tri­an­gle and the Sal­va­tion Army are already on board. With this newest group at the meet­ing, the pro­gram now has trained about 200 active men­tors. How big is the need? The Sal­va­tion Army’s James John­son says ‘I can use as many men­tors as you can give me!’ and esti­mates are that we could be involved in the lives of 800+ kids in the Tri­an­gle, if we just had the men­tors. ReCity | Rewriting the story of our city together. Think about that. Does that move some­thing down inside you?